Toufique Hossain, Director of Public Law at Duncan Lewis Solicitors, specialises in challenging Government policy and practice in asylum and immigration law, with a particular focus on unlawful detention policies. 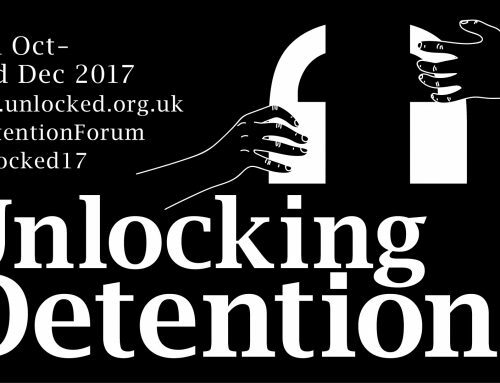 He tells Unlocking Detention about the strategic litigation case of “slave wage” in detention centres he has been involved with and what it is like to represent people who are caught up in this never-ending nightmare of immigration detention. The Home Office’s shameless conduct when it comes to those detained under immigration powers just doesn’t seem to end. Working in an area where you are exposed to such conduct on a regular basis, I always fear that you can become a little too hardened by it all. 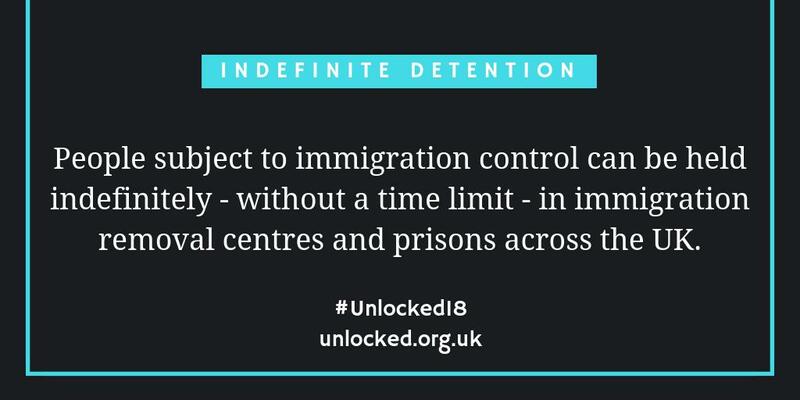 Working with detainees for so many years, I fear I may get used to the idea of immigration detention; begin to think that it is normal in a civilised society. But it isn’t. It shouldn’t be. I first started representing immigration detainees in 2002. I remember, as a trainee, the regular long drives to Oakington or Campsfield House. I remember feeling that these places were prisons. I try and remember all the clients I’ve come across through the years: torture survivors, refugees, people who later won unlawful detention claims. I also remember the ones who were eventually removed. Fifteen years later, things just seem worse than ever. Although I am now in a position to help more detainees than ever before, through strategic group litigation challenges, I find myself utterly despairing every time something new emerges, and feel that these injustices cannot go unchallenged. 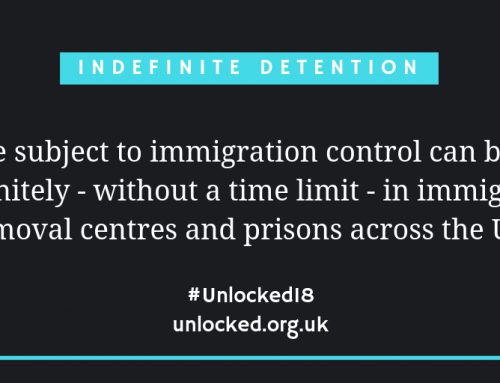 I don’t believe our litigation normalises detention: the bleak reality is that people are in detention, and while this remains the case, we need to help improve their lives however we can. 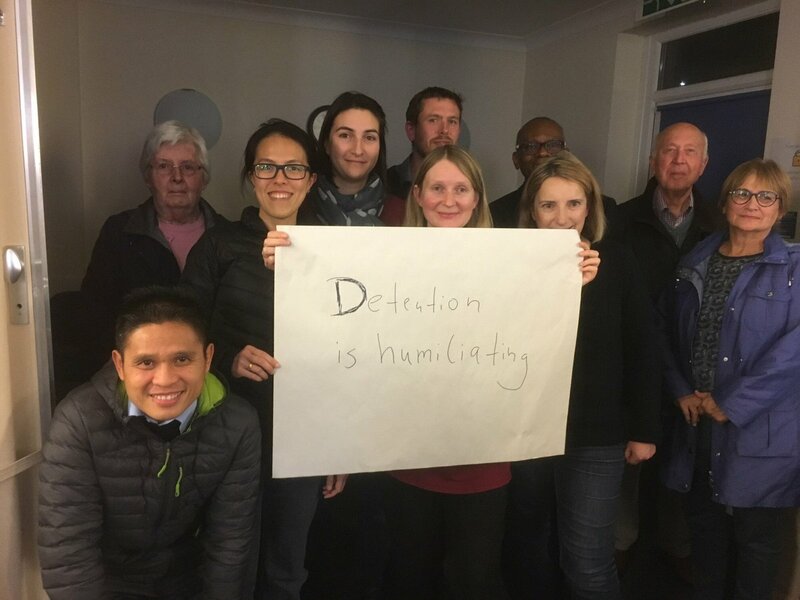 That the Home Office have set a maximum wage of £1 per hour for immigration detainees filled me with such despair and so my team began to identify brave clients willing to take on this abhorrent policy. This strange predicament is typical for the residents of the UK’s grim removal centres. I emphasise ‘removal’ because that is what the Home Office calls them. A transit area where immigrants temporarily reside as their removal is imminent. The reality is that many detainees are held there for the long haul. In the meantime, detainees are neither prisoners, nor considered members of society. Out of sight, out of mind. One way of bringing the abusive system of immigration detention to public attention is through high-profile strategic litigation. In May we sent a letter to the Home Office, on behalf of several clients, setting out why the maximum wage of £1 is irrational, discriminatory and unlawful. 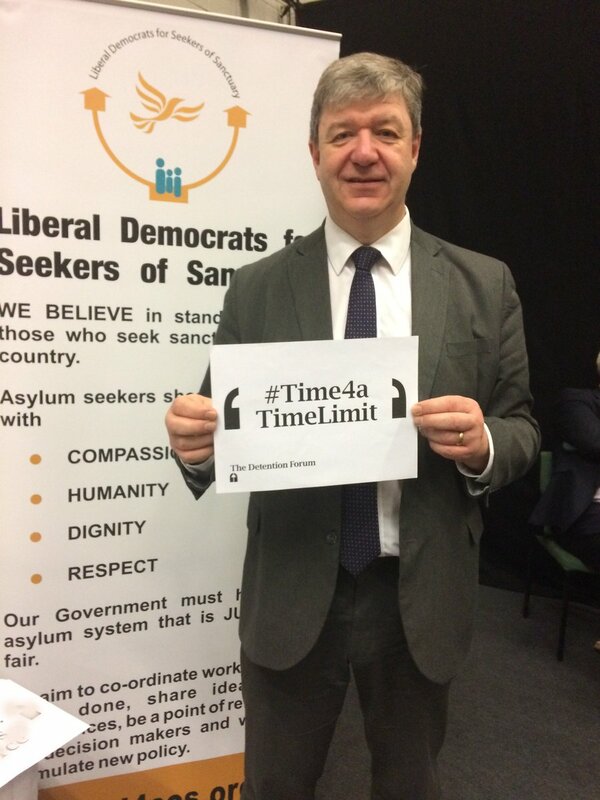 We put it to them that there was no reason to limit the amount detention centre providers could pay detainees. We argued that there should be flexibility in how much detainees are paid, that detainees should be able to apply to be paid more, and that there should be a higher basic rate of pay. In the letter we put the Home Office on notice that we intend to bring this matter to the High Court if our demands are not met. Staggeringly, the memo’s author only recommends the higher rate of £1 per hour ‘reluctantly’. It seems our clients should be grateful for their £1 per hour salary. Another strange justification offered for the lack of flexibility was that ‘distinguishing between detainees in terms of the rate of pay may cause resentment, particularly if work at higher rates is not available.’ There you have it, our Secretary of State for the Home Office Amber Rudd, who earns over £100,000 a year, simply cannot bare wage inequality or unequal opportunities. The picture painted by the Home Office is of detainees contentedly working lathes, throwing ceramic pots and pruning roses. This depiction is as perverse as it is disingenuous and it needs to be dissected. First, to characterise the work simply as another ‘activity’ is misleading. Our clients and other detainees are doing work essential to the management of the immigration removal centres, much of it banal and tiring. They are working as cleaners, barbers, laundry workers, litter-pickers and food servers. Second, this work would otherwise need to done by workers paid at least the minimum wage. As the Immigration Law Practitioners Association (ILPA) told Shaw: ‘The private contractor’s model is dependent upon the use of their labour.’ Private contractors such as Serco and G4S make savings by employing detainees at these exploitative rates. Third, as my colleague Philip Armitage told Nick Ferrari on LBC Radio, clients do need money for their day-to-day existence. They need money to buy credit to speak to their lawyers and their family, and to buy essentials. Men and women deprived of their liberty, in a position of powerlessness, are forced to carry out unedifying jobs for next to nothing by the circumstances which have been imposed on them. If this isn’t slavery I don’t know what is. It should be noted that the only shops in the detention centres are, of course, owned by the private contractors, and so the meagre wages get ploughed back into their profits. The Home Office response concludes by noting that they were supposed to consider whether the £1 limit was consistent with the Equality Act 2010 in 2015, admitting: ‘It does not appear that such a review has occurred’, confirming that they will now conduct such a review of the rates of pay. We are still waiting to hear from the Home Office about this review, which is supposedly imminent. We will keep fighting for an end to this state-sanctioned slavery. 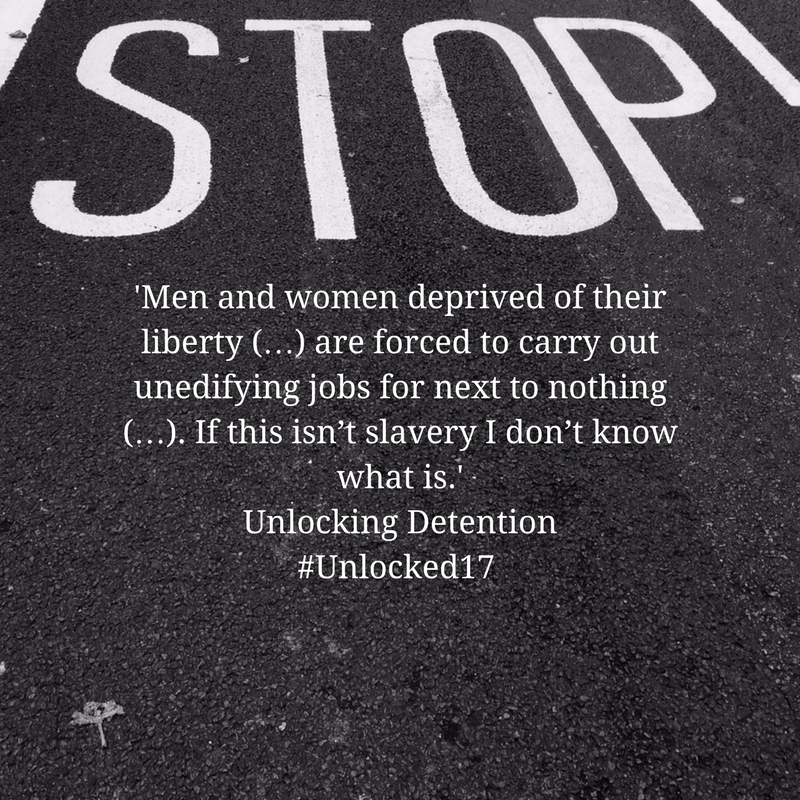 Like immigration detention as a whole, there is absolutely no place for it in a civilised society, but it is happening just down the road.